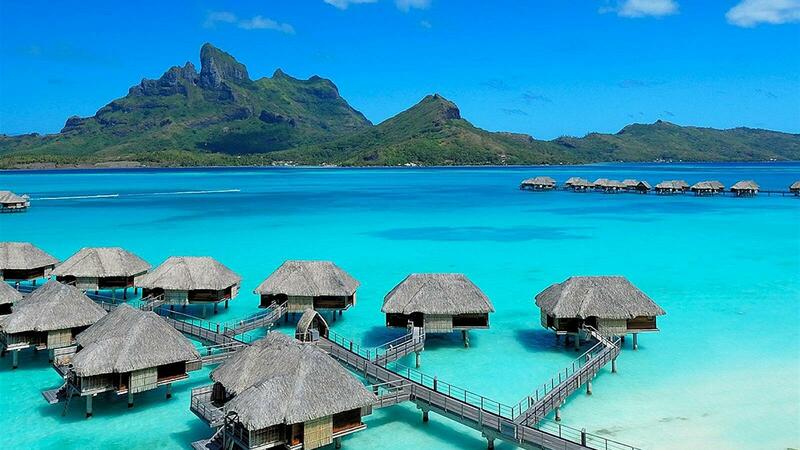 The perfect combination: 3 nights at the Hilton Moorea Lagoon Resort & Spa and 4 nights at the Four Seasons Bora Bora. The Hilton Moorea is perfect for the couple in search of refinement, romance and escape. In one of the world’s most desirable destinations, Four Seasons Bora Bora redefines the perfect South Seas escape. Your 7 night package includes a Tahitian Wedding or Renewal of Vows Ceremony held on the resort’s Coral Beach complete with Flowers, Tahitian songs and dances during the ceremony, Certificate on traditional Tapa and a Tropical Cocktail for two served in a Coconut Shell. Package also includes Full Breakfast daily, a Tahitian Black Pearl for the Bride, Hotel Bonuses such as Champagne, International and Inter-Island Airfare round trip and Airport Transfers.